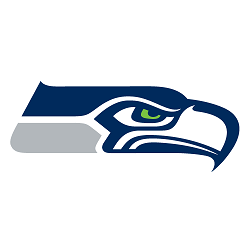 The Seattle Seahawks is the one and only NFL team based in the state of Washington. The side forms part of the National Football Conference (NFC) West division, along with the Los Angeles Rams, the San Francisco 49ers and the Arizona Cardinals. Since joining the National Football League (NFL) as an expansion team in 1976, the team has seen limited success even though the side really does have the loudest fans in the US. That stated, much of their good form has come in the last five or so years, with the team winning their one and only Super Bowl title in 2013. On this page, we provide bettors with the latest Seattle Seahawks news, standings, and betting odds. The Seattle Seahawks have been the NFL for over 40 years and in that time has amassed some championship silverware. Previous honours and titles won include one Super Bowl title, three Conference Championships and a total of nine Division Championships. The team has back to back NFC Championship victories in 2013 and 2014 and have made the playoffs pretty much every year this decade except for 2011 and 2017. With a solid defence and a strong running game, it really is no wonder why the team has done so well for itself in recent years. Although the ‘Hawks had a stronger showing at the beginning half of the 2010s, the team is still a force to be reckoned with. While many may not peg them to be a contender for the Super Bowl for upcoming seasons (as many of their star players from the 2013 title winning team are no longer there), bettors can never really count them out.